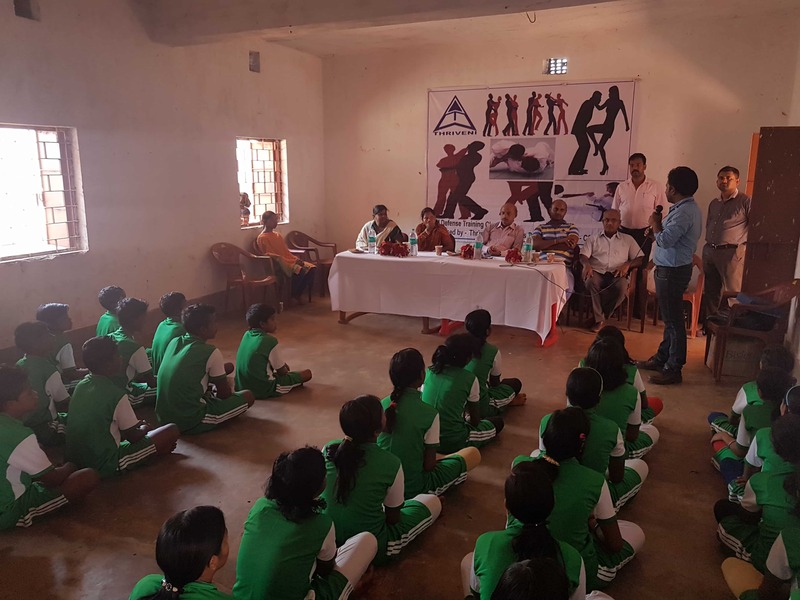 A five day Self-defense training Camp from 25th April to 29th April, 2017 for the school children of Balda Block had been organized in the Balda Ashram school by the Thriveni CSR sports department under the inspection of Serajuddin site. The training camp was inaugurated by Mrs Kamala Nayak Sarpanch of balda block. 50 selected students from 8 local schools were imparted with self-defense training. The primary objective of this self-dense training camp was to enable children to protect themselves from criminals or attackers in the time of danger. The students received intense training on various techniques such as Vehicle Abductions, Home Invasion, Anti–abduction, Communication Drills, Scream attack escape& circle of security instruction.